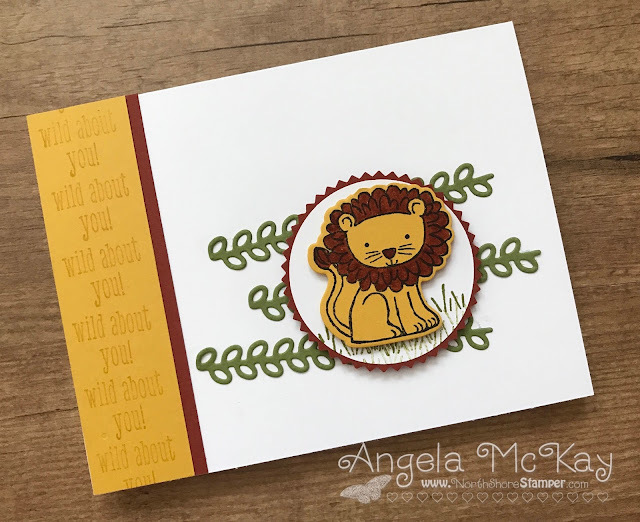 I don't often take the time to make kids cards... my kids have gotten older and I don't seem to be making cards for wee ones birthday parties etc, but I couldn't resist this stamp set with the coordinating framelits!! The framelits make the most adorable little tags and I'll make sure to share those with you soon but in the meantime, you can take those same framelits, make a tiny snip and have an adorable focal point for your card! Birthday Delivery Bundle Covers It All!